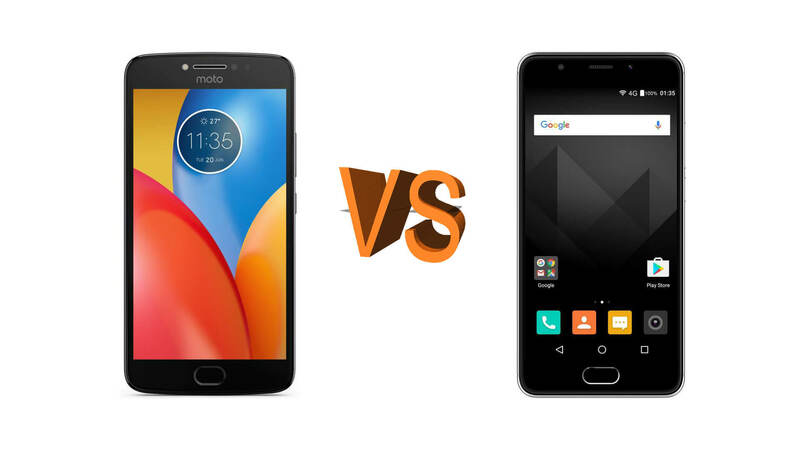 Motorola and Yureka both are one of the best brands which offer you the best Smartphones in an affordable range. Both the companies have now released their new products Moto E4 Plus and Yu Yureka Black in the month of June 2017. Both the companies have released their handsets having same screen size i.e. 5 inches and both the handsets are having nearby equal price tag i.e. Rs.8,999. Both the companies are known for providing the best results to its customers. Motorolla is a well known Japanese brand of mobile phones which is ruling in the market for past many years where as Yu is well known Indian brand formed in 2014 for by the collaboration of Cyanogen Inc and Micromax Informatics Limited. Motorolla is a well known established brand and known well by its name Yu Yureka Black is new Indian Brand which is trying to establish its name in the market and continuously trying to fulfill the demands of customers. A brand is known by the list of happy customers so more the number of happy customers more will be the business a brand will make. The picture resolutions of the two smartphones are quite different Moto E4 Plus includes a price tag of 720 * 1280 pixels whereas Yu Yureka Black includes a 1080 * 1920 pixels. Also, the processors both the handsets include are also very different. Moto E4 Plus includes a more advanced 1.3GHz Quad-core MediaTek MTK6737M processor whereas the Yu Yureka is introduced with 1.4GHz Octa-core Qualcomm Snapdragon 430 processor. The dimensions and the weight of both the phones are near about same. Moto E4 Plus includes a removable battery with battery backup of 2800 mAh whereas the Yu Yureka Black includes an inbuilt battery with a stronger battery backup of about 3000 mAh. Both the devices are fully touchscreen and include a standard touch type. The picture resolution of the Yu Yureka Black is much more than that of Moto E4 Plus. It includes a picture resolution of 1080 * 1920 pixels whereas the Moto E4 Plus includes a picture resolution of 720 * 1280 pixels and hence the Yu Yureka black handset gives you a better picture quality than Moto E4 Plus. The processor included in the Yu Yureka Black handset is also more powerful than Moto E4 Plus which provides you a better speed and more powerful working experience. Yu Yureka Black is embedded with 1.4 GHz Octa-core Qualcomm Snapdragon 430 processor and also includes a RAM of 4GB which makes it the best handset in its category. Whereas the Moto E4 Plus is embedded with 1.3 GHz Quad-core MediaTek MTK673M processor with 2GB RAM. More will be the RAM of a smartphone, more data will it store and more will be the speed and working capacity of the handset. Yu Yureka Black is designed to store a large amount of data than that of other phones in its category. It includes 32GB of internal memory in which you can perfectly store a large amount of data including your personal documents, photos, videos, movies and much more without affecting its working capacity and speed. The Moto E4 Plus also includes a large internal storage capacity, but it is much lesser than that of the Yu Yureka Black. It includes an internal storage of 16GB. You can expand the memory storage of both the smartphones with the help of microSD cards. The memory of the Moto E4 Plus can be extended up to 32GB whereas the memory of the Yu Yureka Black handset can be extended up to 64 GB. The camera quality of both the handsets also makes a big difference between the two. Moto E4 Plus includes 8 Megapixels of rear camera with flash light whereas the Yu Yureka Black includes a rear camera of 13 Megapixels with flash light which offers you the best quality pictures in this category. Moto E4 Plus includes a front camera of 5 MP and Yu Yureka Black includes a front end camera of 8MP which enhances your experience of taking selfies and making your self-portraits. Yu Yureka Black includes the latest version of Android i.e. Android 7.1 and hence provides you the best results. Whereas, the Moto E4 Plus provides you the Android version 6.0. The software included in both the handsets are latest and advanced which offers you the best results in this category. Both the phones are designed in such a way that they fall in the category of the lightest weight phones. Also, both the dimensions of both the phones make them the slimmest phones. The looks and the features of both the phones are also amazing and will surely offer you the best results you ever had. India and hence is not able to use and work 4G SIMs. You can easily download, store and save a large number of songs, movies, and videos on your android devices and can listen wherever you want. Both the products come up with a pair of handsets which enables you to listen to your favorite tracks with an enhanced sound quality and sound effects. Also, both the phones are embedded with various sensors so that you can get better results. Both the Android devices include Proximity sensor, Accelerometer, Ambient Light Sensor whereas both lack barometer and temperature sensor. The Moto E4 Plus includes an additional sensor Compass/Magnetometer which enables you to search various places and to detect various directions while traveling. Whereas the Yu Yureka Black is embedded with Gyroscope which Moto E4 Plus lacks. Conclusion: – Today, everyone wants to have a smartphone which fulfills their all basic needs of technology in just one gadget and also in an affordable price tag. Both the handsets are best in their category, but if you are going to buy the best handset for you then Yu Yureka Black is the one we preferred you the most. It includes all the qualities of the best handset in its category and offers you the best results you ever had in this price range. Both the handsets come up with the same price tag and approximately equal weight. Yu Yureka Black is one of the slimmest and lightest smartphones in this category. You will surely love looks and features of this perfect handset at first glance. Being a new company in the market Yu Yureka Black is continuously trying to provide its customers the best smartphone at an affordable price. It is the best Indian Brand of Mobile phones till now which is continuously going to the heights of success by making a long list of happy customers.